Very good value at an excellant location. Hotel is old and need some renovation. Hot Water flask should be made available to all rooms instead of needing to go down to the bar which is not open 24 hours. Brussels in Belgium has a little something for everyone, but is a particular favourite European travel destination for tourists and travellers interested in art and history. Brussels is home to a whole host of world famous museums, like the Horta Museum or the Museum of Natural Science. Visitors also visit Brussels simply to walk the famous streets and take pictures of the multitude of stunning historical sites, like the Notre Dame de Sablon. If you are unfamiliar with the area it might be a little difficult to find the perfect hotels in Brussels to fit your needs out of the vast number of accommodations available. This is where Expedia can help. 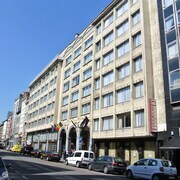 Expedia can help you find the best cheap hotel deals in Brussels. These fabulous deals are guaranteed to please every travel from the deal conscious individual looking for a discount, to those who wish to splurge on their dream holiday getaway. 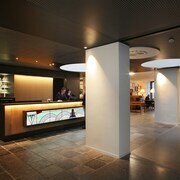 An attractive option for budget conscious travellers is to stay at one of Brussels airport hotels. Staying near the airport allows you to be close to your flights to and from Brussels, as well as being nearby to car hire. Another choice that often works for those on a budget is to stay at one of the hotels near Midi Train Station. Staying by the station puts you within close proximity to the best hotels in Brussels Belgium and also has you within walking distance of a convenient mode of transport around the area, and further afield in Europe. 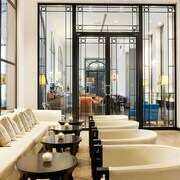 There are a number of Brussels hotel options for those looking for a little luxury too. You can easily find 5 star and boutique hotels filled with luxuries guaranteed to delight you during your stay in Belgium. Another option is to stay in one of the top hotels near Grand Place, close to many of Brussels most famous attractions and considered one of the most beautiful squares to be found in the world. 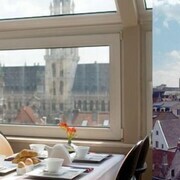 Book an unforgettable stay in Brussels with Expedia today.